Jesus prayed for our unity, that we would be one—just as he and his father are one. He yearned that his followers would get along and live in harmony. Dividing into religious sects wasn’t his plan. Yet that’s exactly what we’ve done as we formed 43,000 Protestant denominations. Instead of focusing on our similarities, our common faith in Jesus, these denominations choose to make a big deal over the few things they disagree about. They should get along, but instead they develop their own narrow theology, which they use as a litmus test to see who they’ll accept and who they’ll reject. How this must grieve Jesus. While there has been some disagreement among the followers of Jesus almost from the beginning, the divisions started proliferating 500 years ago with the beginning of the Protestant Reformation. And since that time, it’s escalated out of control, with a reported 43,000 denominations today. This represents the most significant degree of Christian disunity ever. The push for denominational division traces its beginning to the modern era. While the modern era assumed that reason would allow us to converge on a singular understanding of truth, the opposite occurred. Instead, the pursuit of logic resulted in wide-scale disagreement. And this is perhaps most manifest among the followers of Jesus, who love to argue over their individual understandings of theology. Yet there’s a sense we’re moving away from denominations and the divisions they cause. The word to describe this is post-denominational. Just as we are moving from the modern era to the postmodern era, we are also moving from a time of denominational division to a time of post-denomination harmony. So, what is post-denominational? Post-denominational moves beyond the Protestant divisions that proliferated in the last 500 years, during the modern era. Post-denominational sets aside the man-made religious sects that divide the church of Jesus. In its place, post-denominational advocates a basic theology to form agreement and foster harmony. 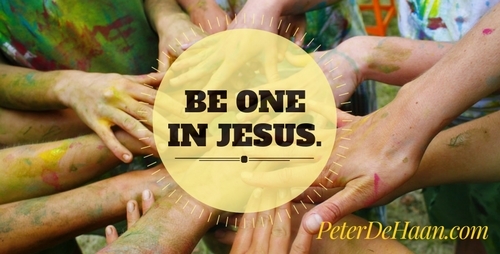 This allows the followers of Jesus to live together in unity, which will amplify their impact on the world around them. They’re weary of the criticism, the finger-pointing, and the disunity that denominations have caused. That’s why the label of non-denominational is so attractive to many people. This includes those who go to church, those who dropped out, and those who have never been. They don’t want to align themselves with a denomination anymore. They want a spiritual experience in a loving Christian community, one without denominational division. For the sake of Jesus and our witness of him to our world, can we set our denominations aside and agree to work together to move forward in unity? It’s a lot to ask, and it seems humanly impossible. But Jesus already prayed for our success (see John 17:20-26.) May this generation be the answer to his prayer. May we be one.